Most cellular plans will give you a certain amount of data that you can use each month. If you use more data than your plan allows, then you will be charged extra. 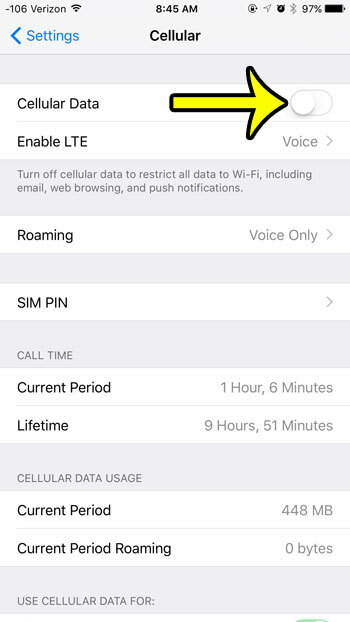 If you find that you are using a lot of data, or that you are close to your limit and want to make sure that you do not go over, then it can be beneficial to simply turn off all cellular data on your iPhone. You will still be able to access the Internet if you are connected to a Wi-Fi network, but you will not be able to do anything that requires Internet access when connected to a cellular network. This includes downloading email, browsing Facebook, visiting websites in Safari, or streaming video and music. 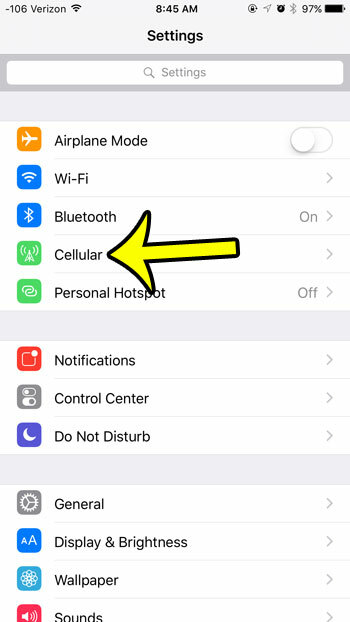 The steps in this guide will result in an iPhone that cannot use any data when you are connected to a cellular data network. You will only be able to access the Internet when you are connected to Wi-Fi. 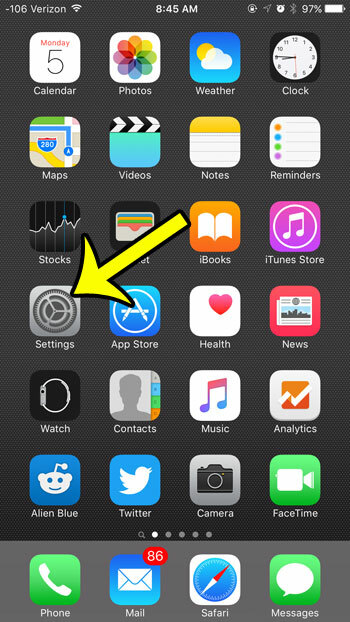 Note, however, that this setting can be changed by anyone that can unlock the iPhone. 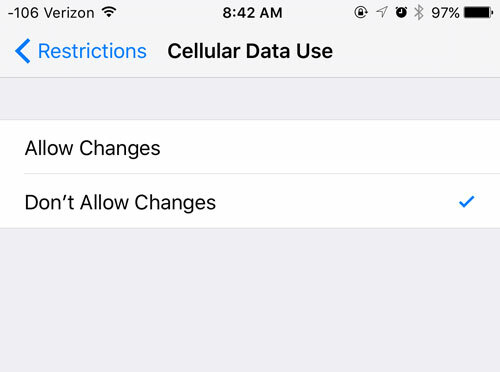 If you wish to prevent someone from changing the cellular data settings on the device after you have disabled the option, then you will need to turn on Restrictions and adjust the Cellular Data Use option to Don’t Allow Changes. This can be found at Settings -> General -> Restrictions -> Cellular Data Use. Tap the button to the right of Cellular Data to turn it off. You will know that it is turned off when there is no green shading around the button, and the button is in the left position. Cellular data is turned off in the image below. Another useful setting on your iPhone is the ability to block callers. This can be very handy if you have telemarketers that call you frequently. This article will show you how to block a caller on an iPhone so that they will be unable to contact you via phone call, text message, or FaceTime.